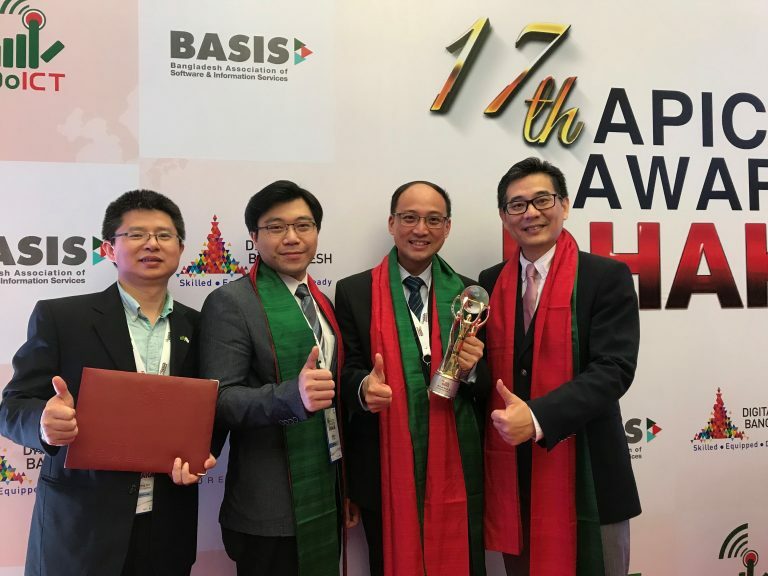 ASTRI’s Communication-based Train Control (CBTC) System has won the top honour in the ‘Communication’ category at the Asia Pacific ICT Alliance (APICTA) Awards. The Awards Ceremony took place on 10 December 2017 in Dhaka, Bangladesh. ASTRI’s CBTC System is a commercial-grade TD-LTE-based railway signalling system. It has been deployed at the recently opened Wuhan Metro Line 6, making it the first subway signalling system in China using LTE technologies. 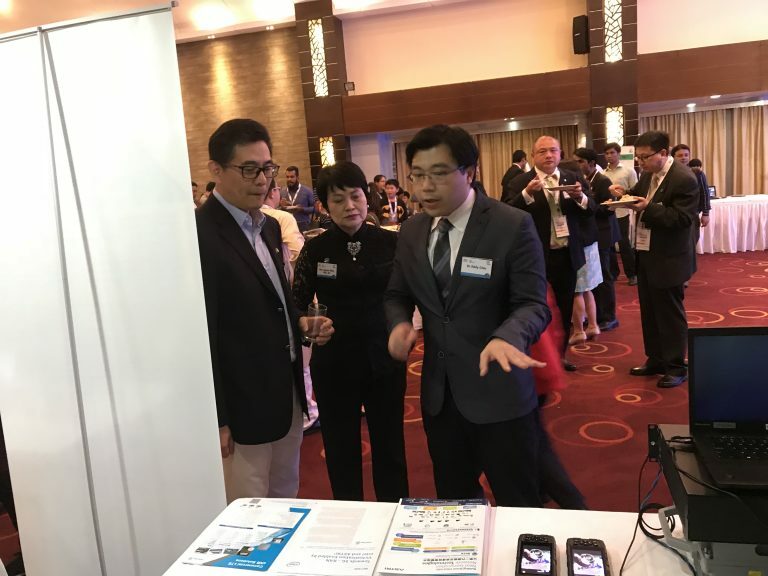 At the event, Ir Allan Yeung Tak-bun, Hong Kong’s Government Chief Information Officer joined Bangladesh’s Finance Minister and State Minister for ICT, a number of senior Government officials from other participating economies, and regional ICT leaders. 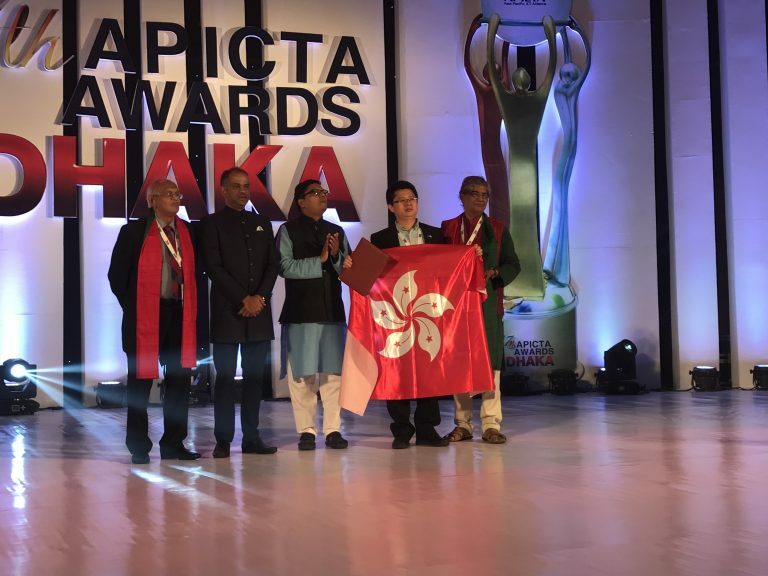 Hong Kong was the biggest winner in this edition of the APICTA Awards with four main awards and five merit awards. In addition to the TD-LTE-based CBTC System, ASTRI’s Smart Water Internet-o-Things (IoT) System was among these nine awards won by Hong Kong. It is indeed a great recognition of the innovative R&D efforts of ASTRI – the largest applied R&D institution in Hong Kong. ASTRI strives to develop and commercialise leading-edge technological solutions for industries and the community. ASTRI’s TD-LTE-based CBTC System optimises railway signalling network design, supports robust mobility in high speed, and achieves low latency within 300ms round-trip-delay. Compared to traditional Wi-Fi-based railway communication systems, ASTRI’s innovative CBTC system reduces signal interference and shortens the signal communication between trains and the control centre. It delivers enhanced safety, reliability and efficiency of mass transit rail operations. Apart from railway communications, ASTRI’s LTE technology is also applied in Public Protection and Disaster Relief (PPDR) that is used for many mission-critical communications enabling highly reliable and low latency communications. In total, 14 projects from Hong Kong were nominated across the various categories. 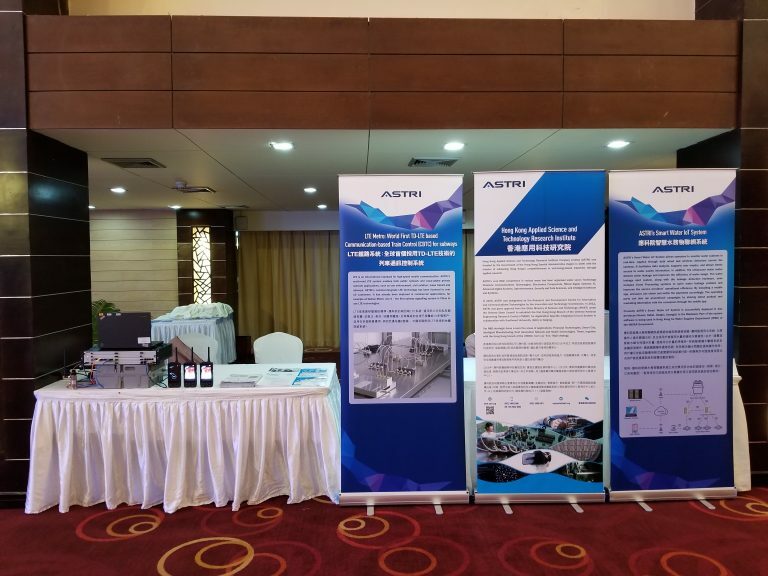 That also included ASTRI’s Smart Water IOT System, which won a Merit Award in the Industry Application category. ASTRI’s Smart Water IoT System allows operators to monitor water systems in real-time. It facilitates data analysis, supports user enquiry, allows timely access to water quality information, and detects water leakage to improve the overall efficiency of water usage. The System has already been successfully deployed in four provinces in Mainland China. In addition, it is currently being trialled by Hong Kong’s Water Supplies Department. The APICTA Awards is one of the most prestigious international awards programmes in this region. Organised by APICTA since 2001, it aims to increase ICT awareness in the community and assist to bridge the digital divide in Asia Pacific. 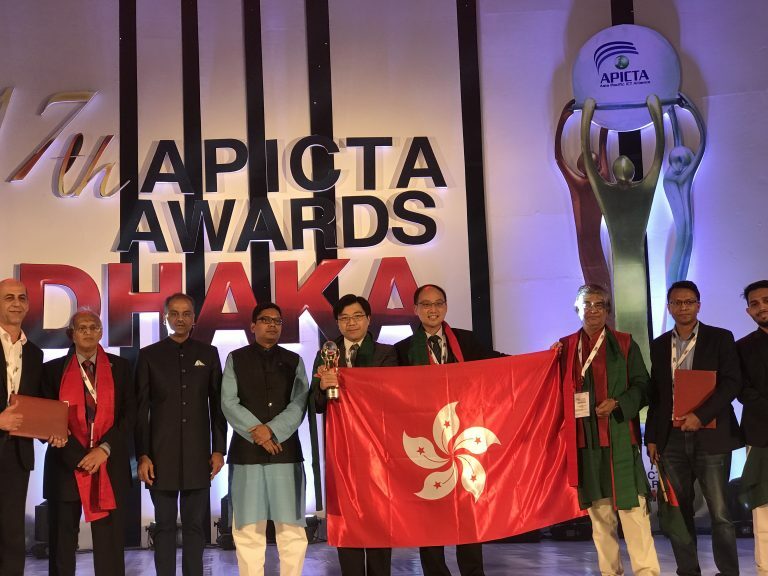 This year, Hong Kong’s participation in the APICTA Awards was coordinated jointly by Hong Kong Computer Society (HKCS) and Hong Kong Trade Development Council (HKTDC). HKCS played an instrumental role in facilitating the nomination and presentation of Hong Kong nominees in the event. 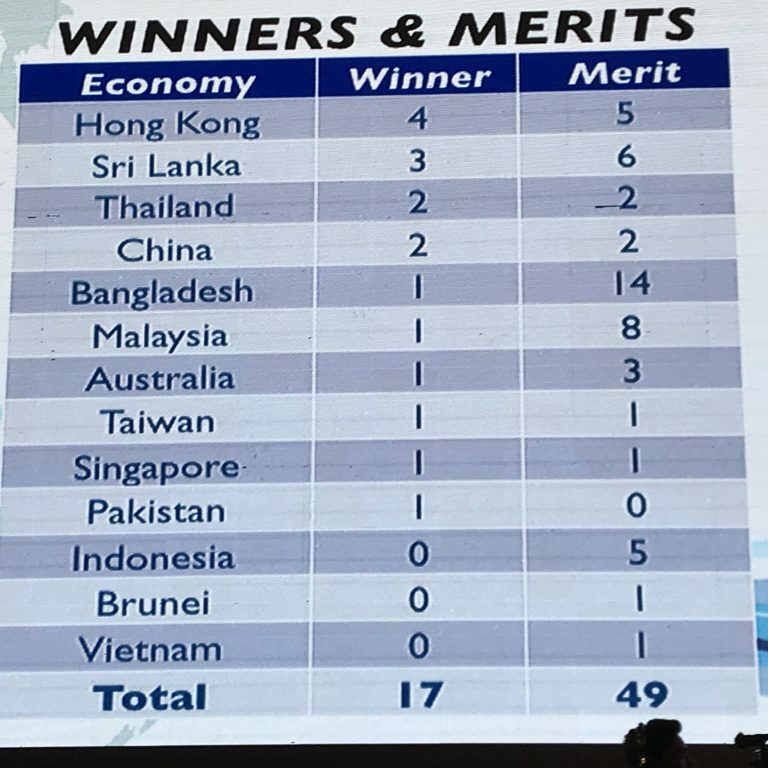 The participating economies in APICTA are: Australia, Bangladesh, Brunei Darussalam, China, Chinese Taipei, Hong Kong SAR, Indonesia, Japan, Macao SAR, Malaysia, Myanmar, Pakistan, Singapore, Sri Lanka, Thailand, Vietnam and Nepal.